Scientists from Zelinsky Institute of Organic Chemistry of Russian Academy of Sciences in Moscow imaged an organic chemical reaction with an electron microscope and recorded the transformation in real time. The team from the laboratory of Prof. Ananikov applied combined nano-scale and molecular-scale approaches to the study of chemical transformation in a catalytic cross-coupling reaction. The study is published in Nature Communications. Electron microscopy is a unique method to study the structure of matter, providing images of small objects with magnifications up to the level of individual atoms by probing the samples with an electron beam. The key feature of this method is providing an image of the object that is straightforward to analyze. However, that advantage has so far been used to study solid objects exclusively. This is due to the harsh conditions inside an electron microscope, in particular, the extremely low pressure in the specimen chamber, which can reach one billionth that of atmospheric pressure. Thus, only solid nonvolatile samples can survive. But the majority of chemical processes occur in a liquid medium and the challenge for the electron microscopy is in situ monitoring of the chemical transformations. The interest in using electron microscopy to observe chemical reactions in liquid media has led to the emergence of methods to preserve samples in their native state, even in high vacuum. Researchers at Zelinsky Institute used special capsules protecting samples from the high vacuum. The chemical processes inside these capsules were observed through a thin window that was transparent to the electron beam. "This is a very powerful tool that the chemists are just beginning to use. The range of reactions that can be studied in this way is still narrow, but that's what inspires the scientists in the catalysis community," said Dr. Kashin, one of the co-authors of this study. The object of the study was the cross-coupling reaction of carbon-sulfur bond formation. The desired products were synthesized from nickel thiolates, which represent the nano-structured reagents composed of nickel atoms and organosulfur moieties. The reaction was carried out in a liquid medium, using soluble palladium complex as catalyst. As a result, the scientists have demonstrated the possibilities of new types of reagents with ordered micro- and nanostructures in organic synthesis. Electron microscopy has made it possible to trace the evolution of reagent particles during a chemical reaction. "We have successfully observed the organic catalytic reaction in a liquid medium inside the electron microscope, which opens new opportunities for the vast field of chemistry. The combination of electron microscopy with mass spectrometry observations, kinetic measurements using gas chromatography, and X-ray spectroscopy studies using the source of synchrotron radiation allowed us to establish the reaction mechanism and to determine the effect of the reagents properties at different levels of structural organization on their behavior under reaction conditions," commented Dr. Kashin. An extensive study of the reaction from the mechanistic point of view was supplemented with a demonstration of the possibility of its practical application for the synthesis of organic sulfur-containing substances. The reaction turned out to be applicable for a wide range of substrates, with the products obtained in high yields of up to 99 percent. "The results may serve as a new stimulus for advanced research at the intersection of organic chemistry and nanoscience. 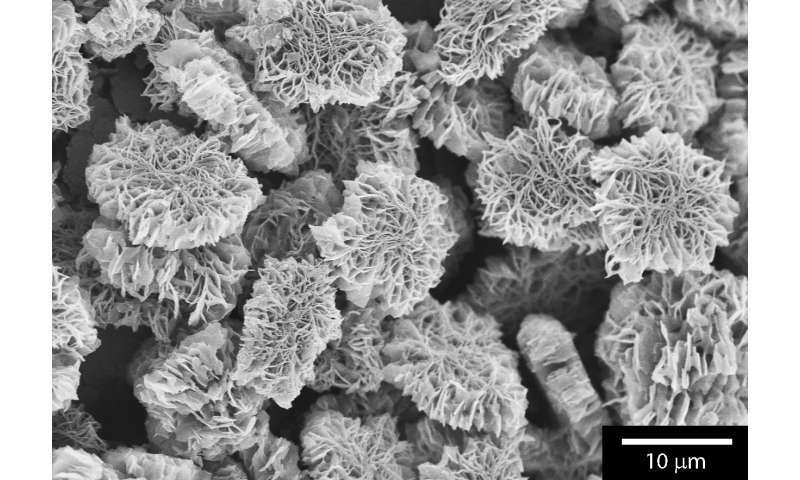 Undoubtedly, the observation of complex chemical transformations by using electron microscopy in solution will become an inalienable part in the study of dynamic processes in organic chemistry and catalysis, whereas video recordings of chemical reactions will soon become a routine tool in the arsenal of chemists," said Prof. Ananikov. "Generalized application of this approach will help to study characteristics of each individual reaction in detail, which will enormously facilitate the improvement of currently available technologies for production of medicines, agrochemicals, functional materials and other practically useful substances."